Thailand is known as the shoppers’ paradise. This destination is a must-do on your international travel list if you are looking for a combined experience of tourism and shopping. The warm climate may not excite you if you come from a tropical country. However, it is a good place for all those coming from otherwise cold countries. 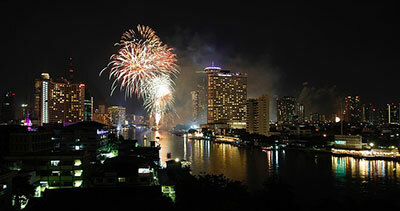 Bangkok is a good place to begin your Thailand Chapter of international travel. This capital city has a few attractions in itself. The sight of vehicles queued up in a long traffic maze is uninviting, especially with the heat but the shopping complexes take care of this providing a very cool and exciting environment to be at your shopping best. Keep that credit card handy! This ‘city of angels’ attracts a lot of tourists especially to the Buddhist temples and otherwise to the rivers and canals and an interesting nightlife. Next, lets move on to Phuket. This place belongs to the southern region of Thailand. The beaches are beautiful here and attract a large section of international tourists. They say international travel is incomplete if you have not visited Phuket. The palm beaches offer a center of relaxation and is an ideal vacation spot. Koh Samui is one place you shouldn’t miss. It has natural beauty all over and tourists appreciate every bit of this breeze laden holiday spot. To many this is the paradise within Thailand. The best part of this place is the fact that you get to see around sixty other islands which cover Koh Samui. Not many places offer such an experience. Krabi is part of the southern province of Thailand. This place has an association with ancient history. Prehistoric articles have been found here suggesting that it has been home to the oldest known living beings. If history is your forte, then Krabi needs to be part of your international travel ‘must see’ places. Chin Mai, on the other hand, is an ancient city of Northern Thailand. 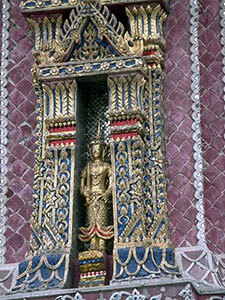 You can take a look at various historical places from the Lanna era. You can even go on a biking expedition. 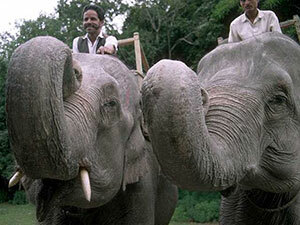 For the weak hearted, the elephant ride should be fun. After a glimpse of history, let’s move to another beach -Pattaya. Amusement parks, museums, botanical gardens and various other entertainment facilities make this place special. The nightlife in Pattaya is an experience many cherish. Leisure activities, good food, discos and pubs raise your spirits and you will truly feel rejuvenated once you are in Pattaya. Having visited these places, you should have comfortably covered seventy percent of the beautiful Thailand. Thailand offers package tours suiting various budgets which enables the rich and the not so rich the ability to enjoy Thailand equally well.